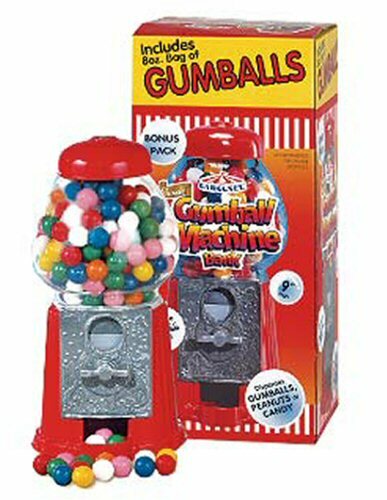 Take advantage of FREE SHIPPING on select Gumball Banks and Machines, Dispensers, Refill Supplies and other fun Gifts. Free Shipping is valid for continental US, HI and AK orders only, and cannot be applied to international orders. Standing at 9" (22.86 cm) our smallest Gumball Bank has the same classic cast metal base and round glass globe as our larger Gumball Banks, giving it a solid and stable feel. This Petite Gumball Bank made by Carousel is economically priced to fit everyone's home or desktop and includes 8 oz. assorted color gumballs to get you started. 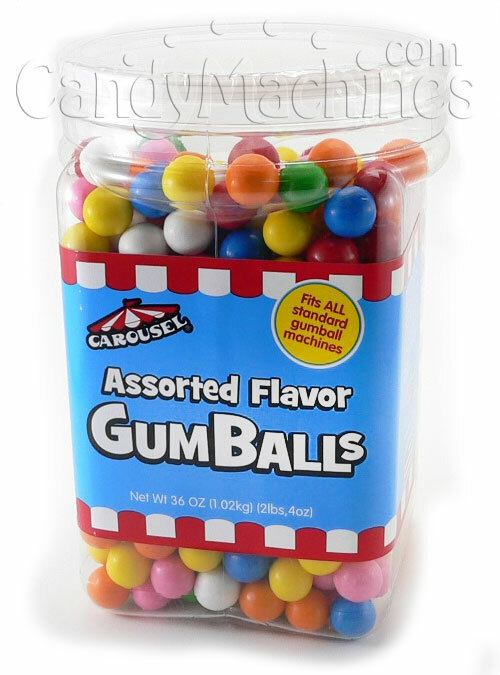 Holds approximately 13 oz of candy or 1/2" Gumballs. Great grab bag gift for Christmas present. Received in plenty of time. Person was pleased with gift.